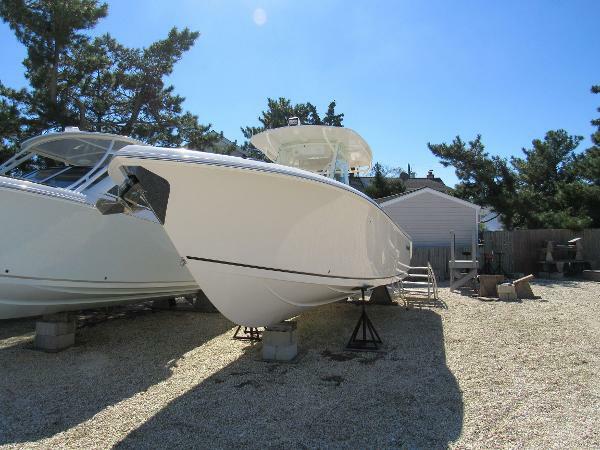 Vendeur Ocean Blue Yacht Sales, LLC. 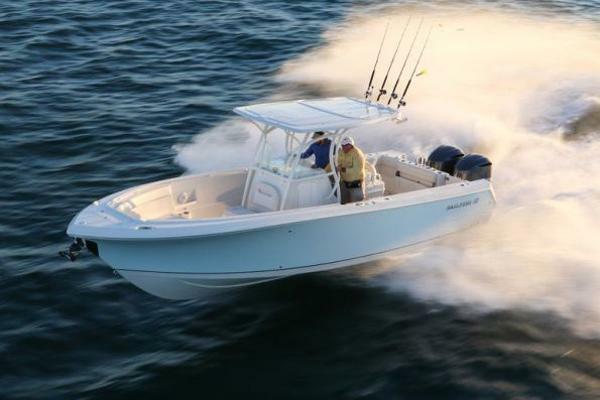 The 290CC has tremendous offshore capabilities and a sleek Sailfish look with dazzling style. 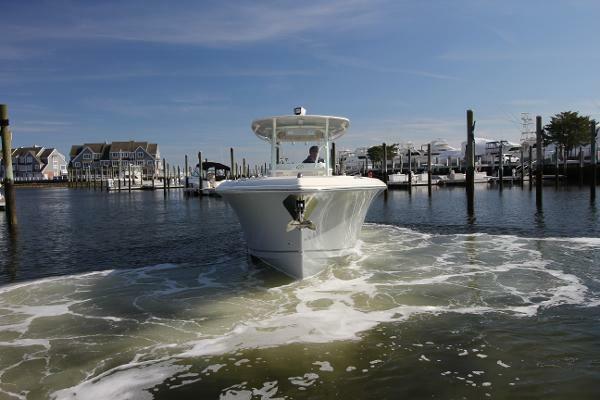 With Sailfish's proven variable degree deadrise (VDS) hull design, this the Sailfish 290CC is one of the driest, softest riding center consoles on the market. 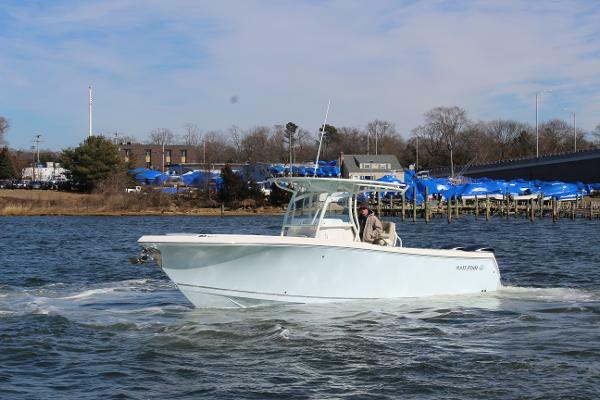 Loaded with standard fishing amenities, including 13 standard rod holders, a 35 gallon leaning post livewell, a 30 gallon transom livewell, high speed pickups, dual fish boxes in the floor, locking rod storage and much, much more. 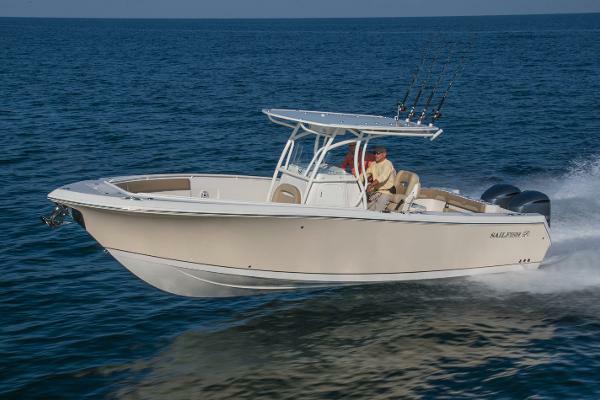 The 290CC also boasts more available options to accommodate your everyday family as well as your tournament needs. 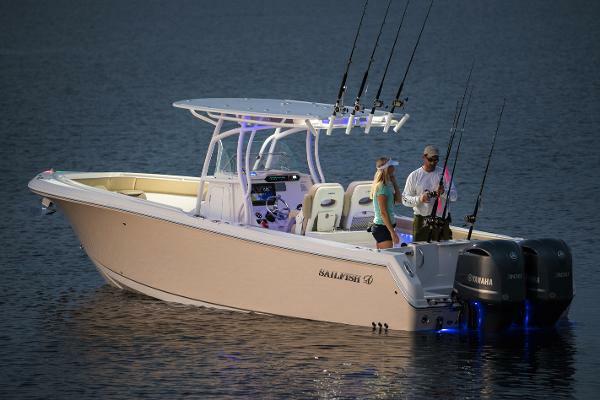 The dash facing will allow for large flush mounted electronics. 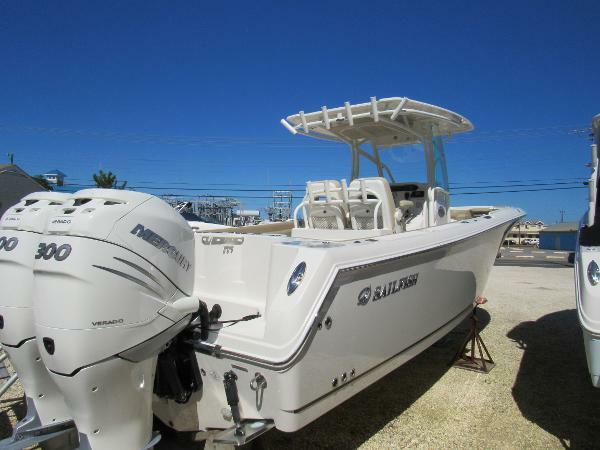 Family, Fishing, Fun is the name of the game with this model. 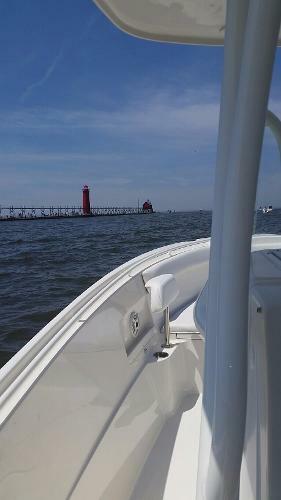 Fish a tournament in the morning, take the kid out wakeboarding in the afternoon and join friends for a dinner cruise at sunset just by changing out the cushions and seating arrangements. 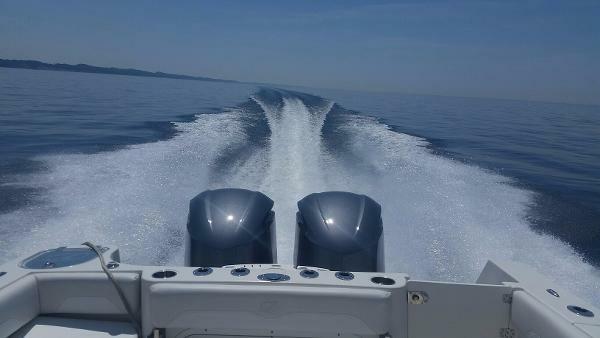 AUTHORIZED SAILFISH DEALER SERVING WEST MICHIGAN AND THE ENTIRE LAKE MICHIGAN BASIN. 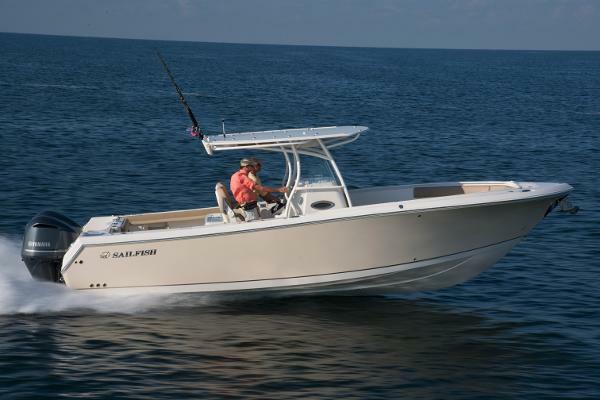 The new 290CC Sailfish has enormous offshore capabilities, and plenty of style. 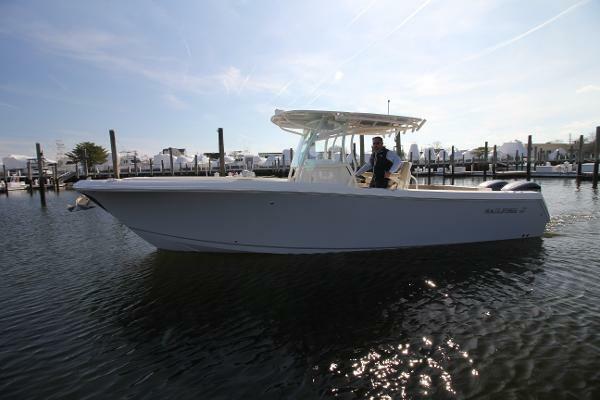 With the proven VDS high performance hull design, this boat is one of the driest, softest riding 29 footers on the market today. 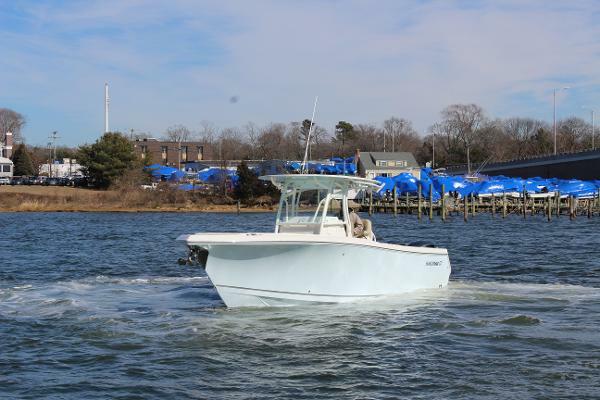 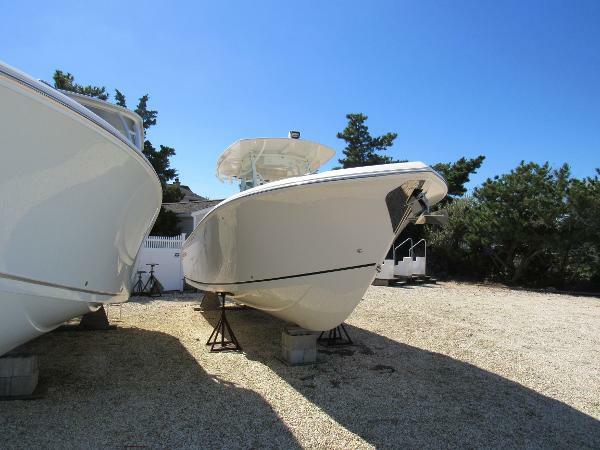 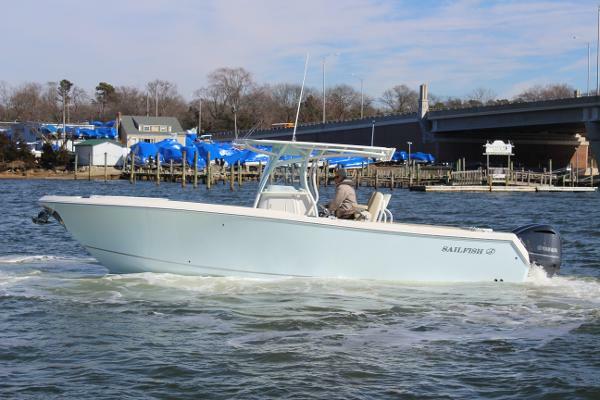 Equipped with Twin Yamaha 300HP 4-Strokes, Ice Blue Hull Color, Capt's Chairs, Hardtop, Forward Seating w/Backrests, Electric Head w/Holding, Aft Folding Seat, Battery Charger, Thru-hull Windlass and much more. 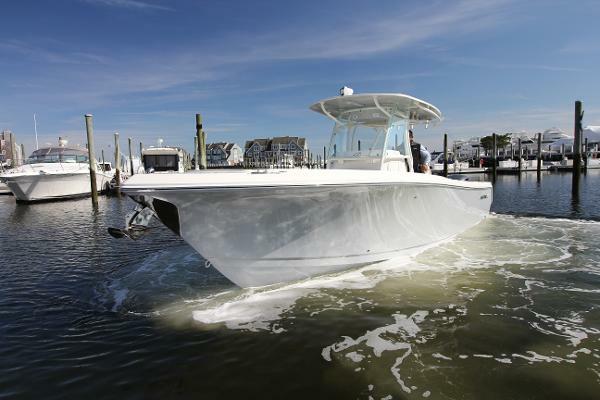 "IN STOCK AND AVAILABLE NOW!!"